It is almost Christmas time and this year I haven’t had time to make any new tutorials. I haven’t had time for any Christmas sewing at all, which is a shame since I have so many pretty Christmas fabrics. 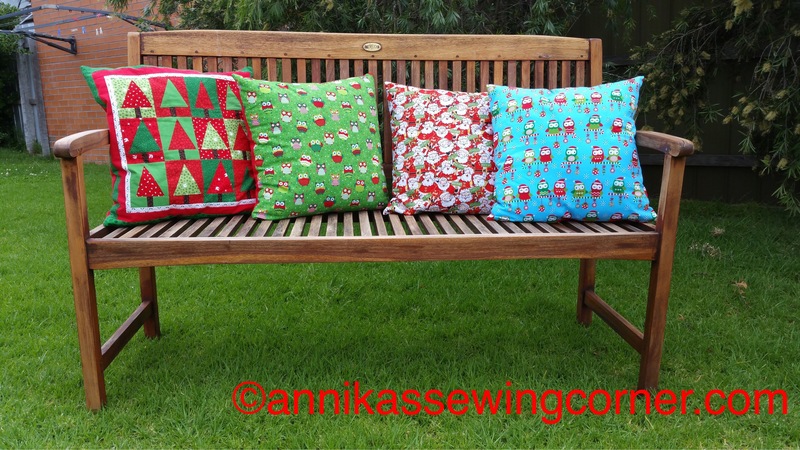 Two Christmases ago I posted this post about how to make these Christmas pillows. You can find the post here. The pillow on the left is made from a pattern from Diary of a Quilter’s Amy Smart. You can find the post here. 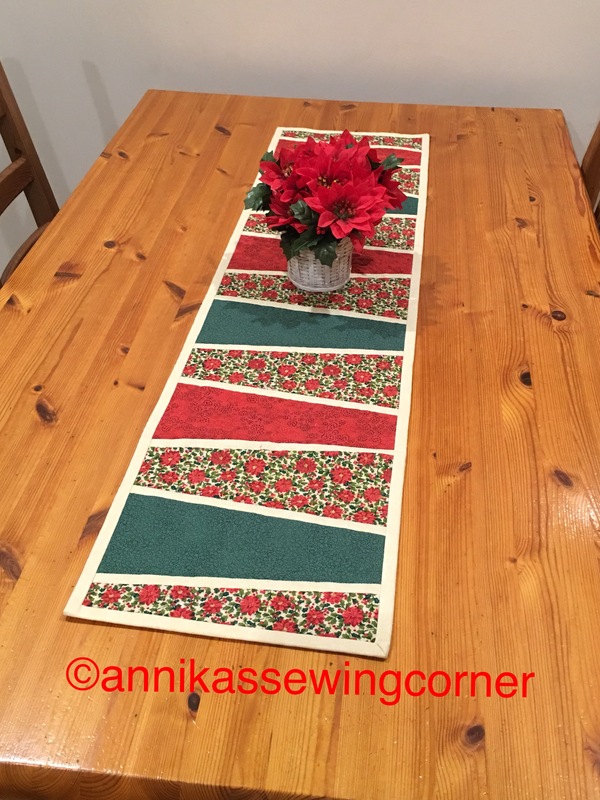 Last year I found a picture on Pinterest of a table runner that I made with Christmas and wrote this post about how I made my own version. You can find the post here. 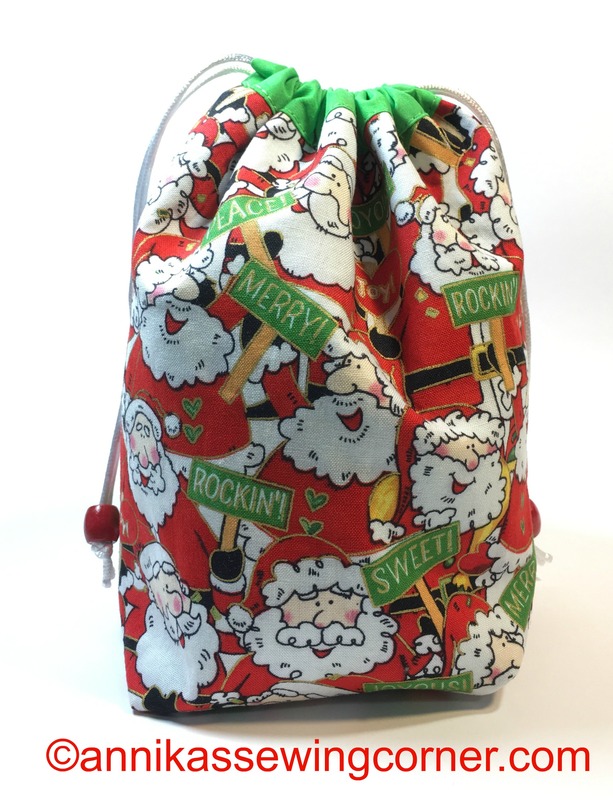 These cute little Christmas bags is a great way to use scraps of Christmas fabric. You can find the tutorial on my tutorials page or here. I hope you have time for some Christmas sewing. It is still two weeks left until Christmas, hopefully I have some time too. Or I have to plan better and start earlier next year. Don’t forget to enjoy Christmas time, it is very hot here so tomorrow I am going to the beach with my teenage daughters. Until next time, happy sewing and take care. Merry Christmas to all of you, I hope you have a wonderful holiday season. I found a picture of a very nice table runner on Pinterest. It came from a blogpost on Sew Sew Go from 2012 and is called Dresden Table Runner. I made one with Christmas Fabrics and finished it last night. I had some poinsettia fabric and some matching green and red. I also used an off white print on print fabric for sashing and binding. For backing I used the poinsettia fabric. I used the wide part of my 10 degree ruler when cutting the pieces. First I cut a 12″ strip of all three fabrics. Then I used the ruler to cut out the pieces, alternating the direction not to waste fabric. I cut 7 of the poinsettia fabric and 3 each of the green and red. I also cut 1″ wide sashing strips. I cut these in to 13″ lengths and stitched them to both sides of the poinsettia pieces. I trimmed the sashing even with the edges and then stitched all the pieces together, see picture. When I finished I cut the short ends of the table runner straight and made a quilt sandwich using thin iron on batting. I quilted in the ditch on all seams. Then I quilted each section but not the sashings with free motion quilting using clear polyester thread. After that I cut all the edges even and bound it with 1/2″ wide binding to match the 1/2″ inch sashing pieces. Cut the strips 3 1/4″ wide, fold length wise and press. Attach to the front and then stitch by hand to attach the binding to the back of the quilt. This was a fun and relatively quick/easy project. I think it turned out great and looks great on my kitchen table. What Christmas projects have you made this year? Have a wonderful Christmas however you celebrate it. I will go to the beach on Christmas Eve and eat a barbecue lunch with my family in the backyard on Christmas Day. Until next time, Happy Sewing and Take Care! 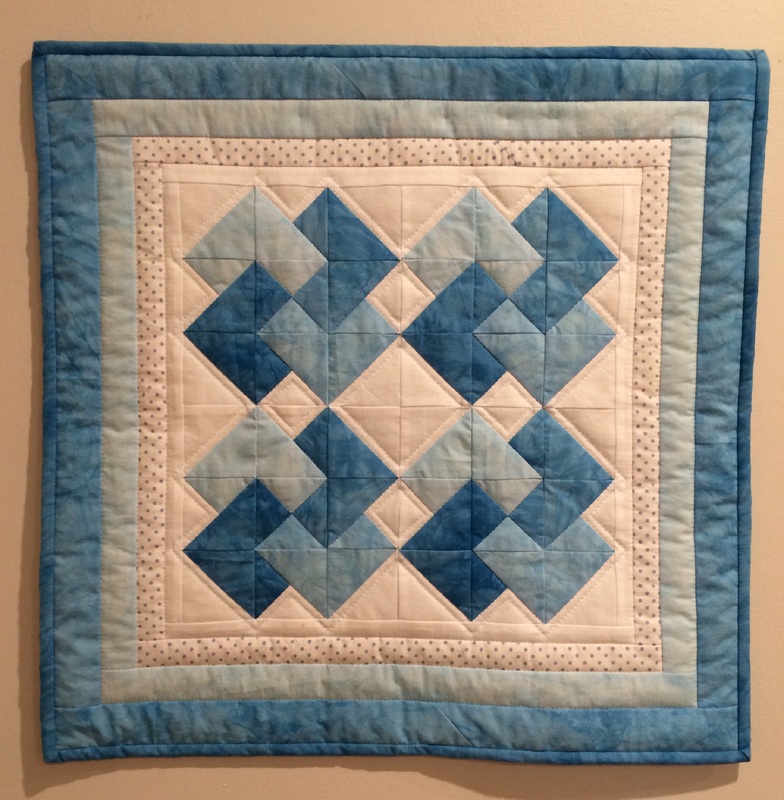 One of my favourite quilt blocks is the the Card Trick block. My second wall hanging I did nearly 20 years ago was a big card trick block with a few borders around it. I won’t show you that one, but I made a wall hanging with four smaller card trick blocks a few years ago, that one I have no problem showing you.